A male bee eater giving meal for female. 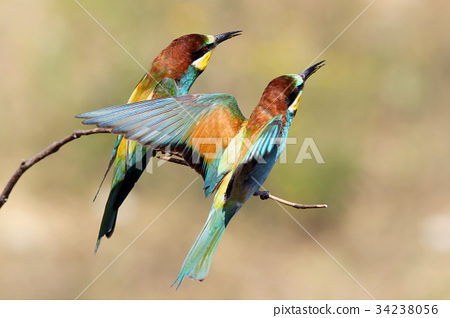 Stock Photo: A male bee eater giving meal for female. A male bee eater giving meal for female. Ritual feeding is an important part of mating season of these birds. .